Keep in mind, however, the script creates the effect; it doesn't mean you have the creative mind of Shepard Fairey. But it's easy to turn your image into a Shepard Fairey-type poster. Follow these easy steps and find out how. Download the elsamuko-obama-hope.scm file from the GIMP Plugin Registry (see Resources below) before you open GIMP. Make sure the file is placed in the scripts folder located at //user/application support/Gimp/Scripts. Open GIMP and your test photo image. Click on the FILTERS tab and open the control panel, which is located under ARTISTIC filters. 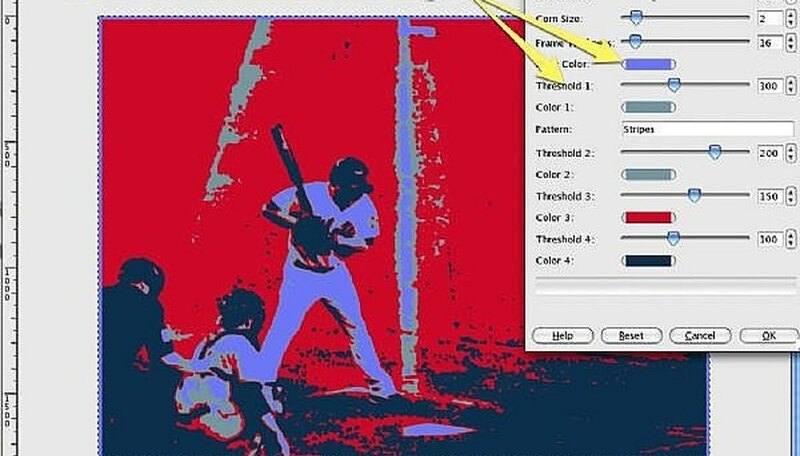 Make adjustments to your image with the tool panel, which offers a number of choices. 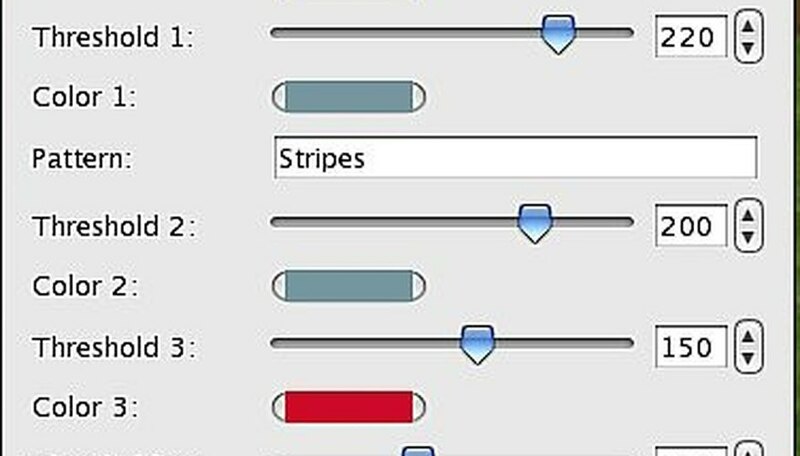 Notice you can select the three different colors for the effect and the threshold for each color. This allows you to design the color of the poster image and "paint" with the colors of your choice. Try your image with the default settings first to get an idea of how the effect works. Notice the stripes that run through the image; you can change this to circles or squares depending on your image. Think of the basic color as the midtones and the other colors controlling the highlights, quartertones and shadows. Experiment with the colors until you get what you want. There is no preview function so you need to render and undo as you learn how to use the effect. Try changing one color at a time and adjust the threshold. You can also try changing the thickness and corn size to change the impact. After making a color change, undo the change and then change another color. Keep doing this until you feel you understand the impact the changes have on the image. Once you have experimented, make the changes you want and click OK to create the image. Save the image under a new name to protect the integrity of your image archive. You can then add stylized text to finish your poster. The result will be an image that mimics the Obama "Hope" poster. This is an easy way to create an artistic poster image from one of your existing images. 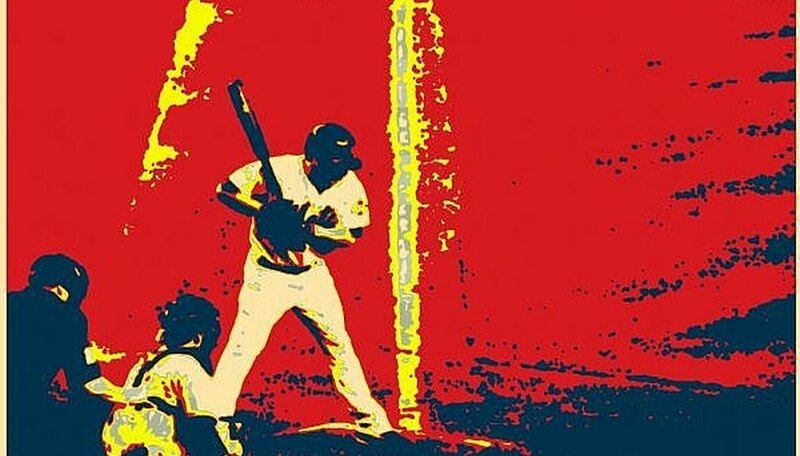 Although the popularity of the Shepard Fairey style will eventually wane, the tool will remain as an easy way to create an art poster from a photo. Experiment with a number of images until you find one suitable for the effect. Richard has been involved in the graphic communications industry for over 30 years. He is an award winning Photographer who has worked in nuclear power plants, in steel mills, on movie locations and in a variety of studios. Richard has also worked as a photography educator and has developed programs for Xerox, Canon, Pantone and other clients. He has also worked as a Technical and Marketing Manager for USA, Belgium and Japanese vendors supplying the graphic communication industries.